STEAMERS, maximum of two gallons of water per hour, with use of boilerless steamers only. 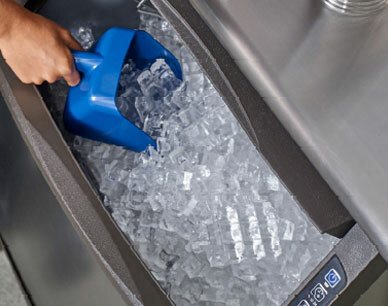 20 LB ICE MACHINES, producing more than 175 lbs per day, max of 20 gallons per 100 pounds, with no water-cooled machines. Welbilt is an active member of the U.S. Green Building Council (USGBC), the nation's foremost coalition of leaders from every sector of the building industry. The core purpose of this group is to transform the way buildings and communities are designed, built and operated, enabling an environmentally and socially responsible, healthy and prosperous environment that improves the quality of life. As a member of USGBC, Welbilt recently voted in favor of the new standards for K-12 Schools. 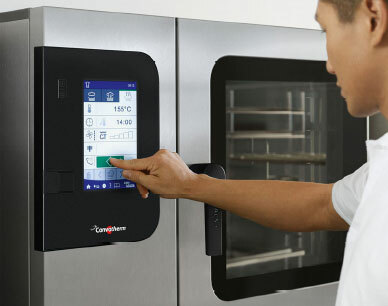 And we continue to work with many of our leading customers and channel partners to advocate collaborative development of new resource-conserving standards for foodservice equipment and facilities. The USGBC administers the LEED (Leadership in Energy and Environmental Design) Green Building Rating System™, a voluntary building certification program that defines high-performance green buildings. The system creates guidelines for green building and offers third-party validation of a building's green features. At Welbilt, we are proud that all of our Enerlogic™ products contribute and support the LEED Green Building Rating System1M. The LEED Green Building Rating System™ was created and is administered by the U.S. Green Building Council. It defines high-performance green buildings, which are more environmentally responsible, healthier and more profitable. The program serves as a design guideline and offers third-party validation of a building's green features.